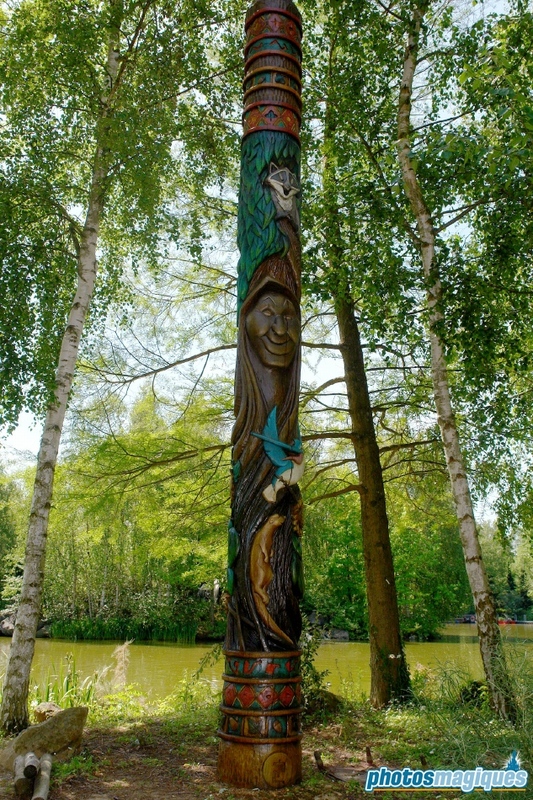 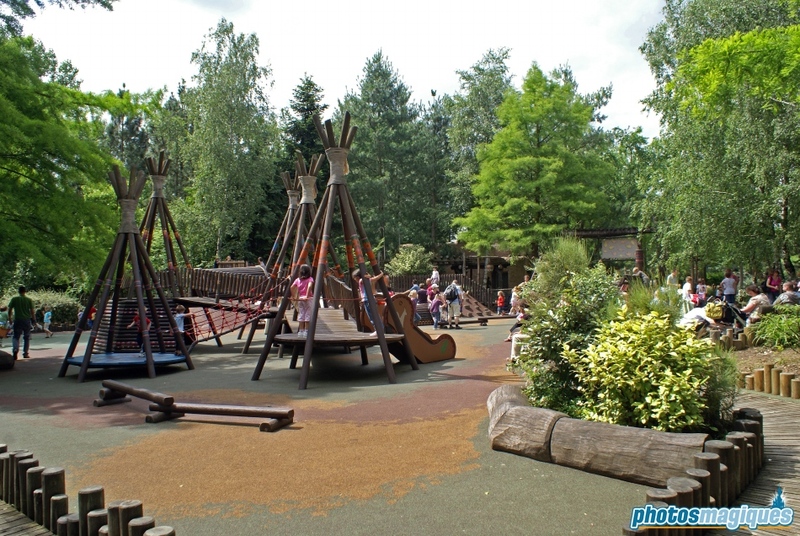 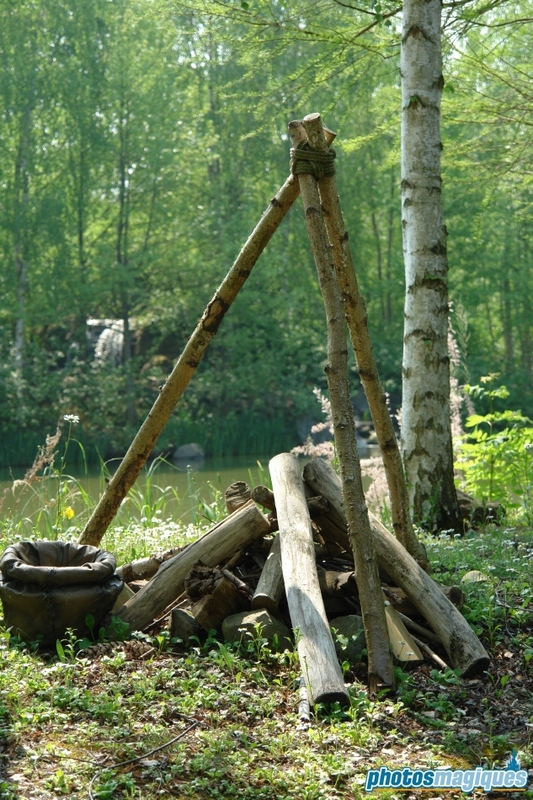 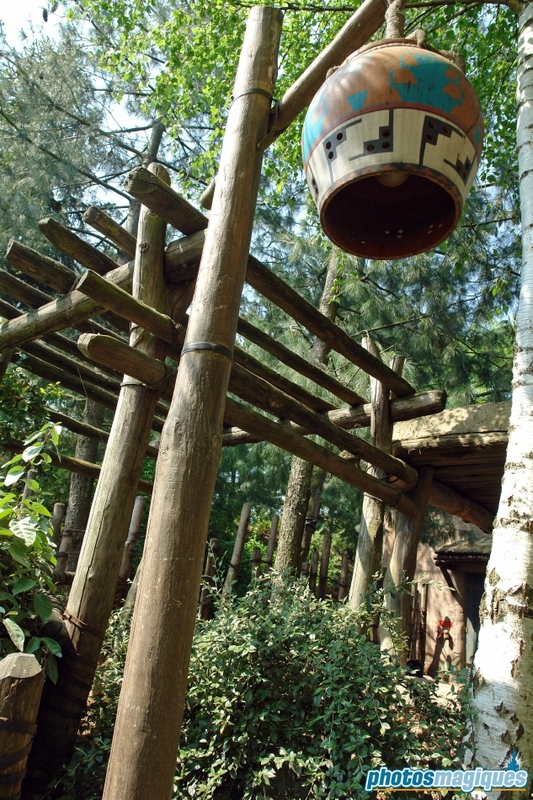 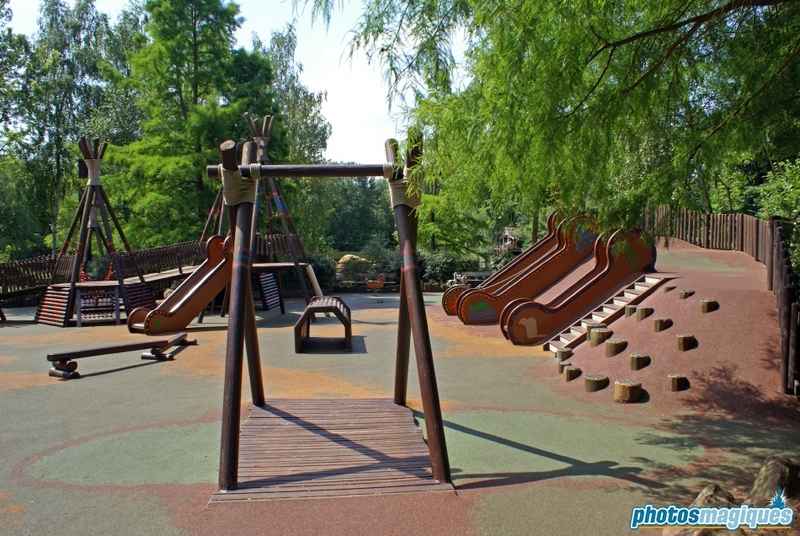 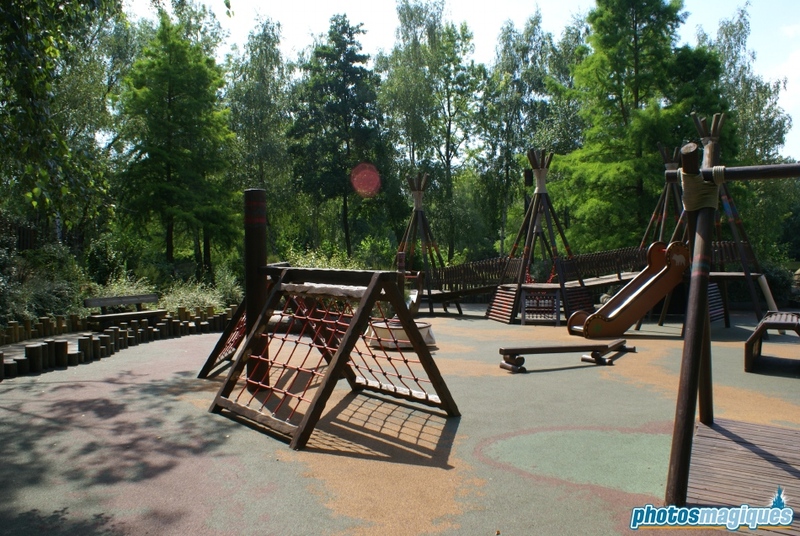 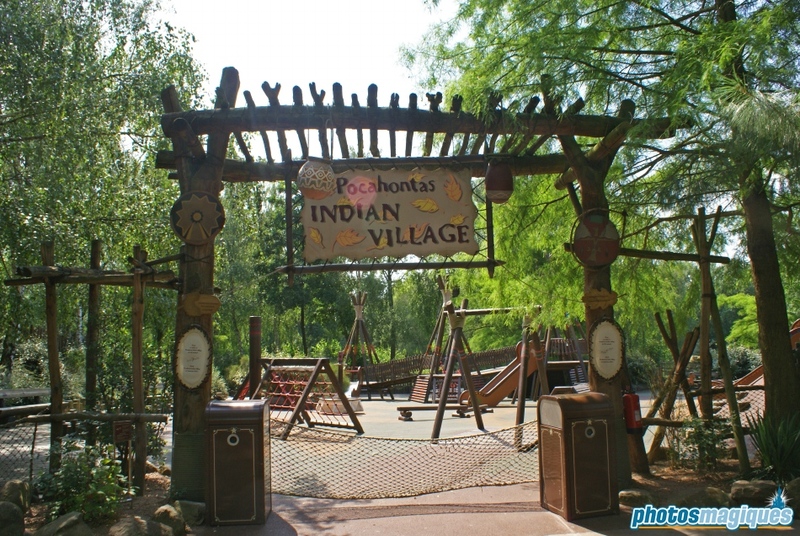 Follow Pocahontas’ footsteps in this Native-American-themed playground. 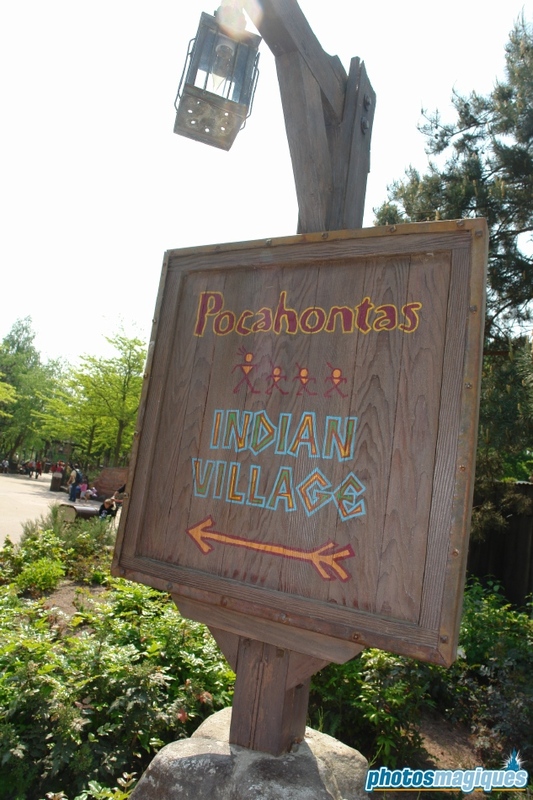 Pocahontas Indian Village opened in May 1996 and replaced the former queue line of the “Indian Canoes” which closed in 1994. 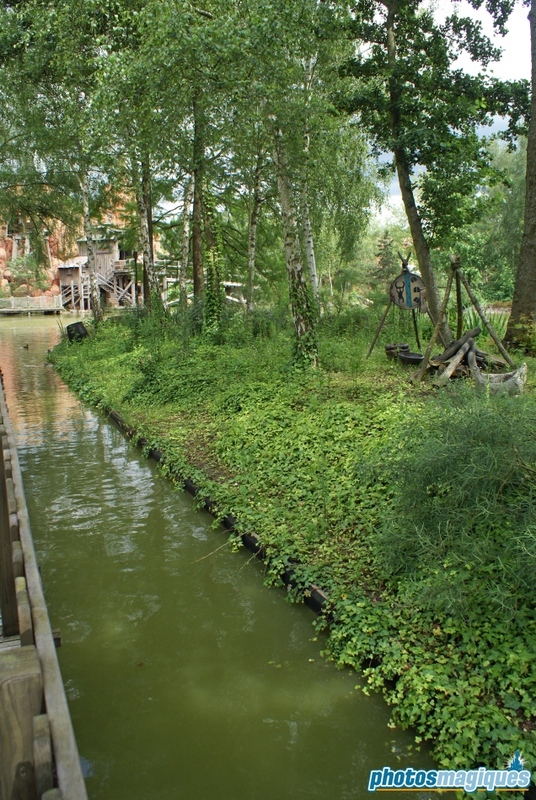 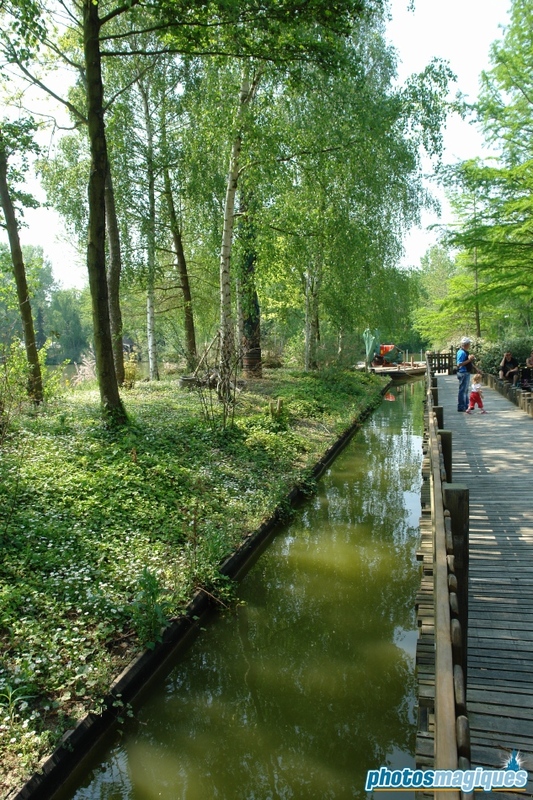 The loading canal of the Indian Canoes is still present in the water behind the the playground. 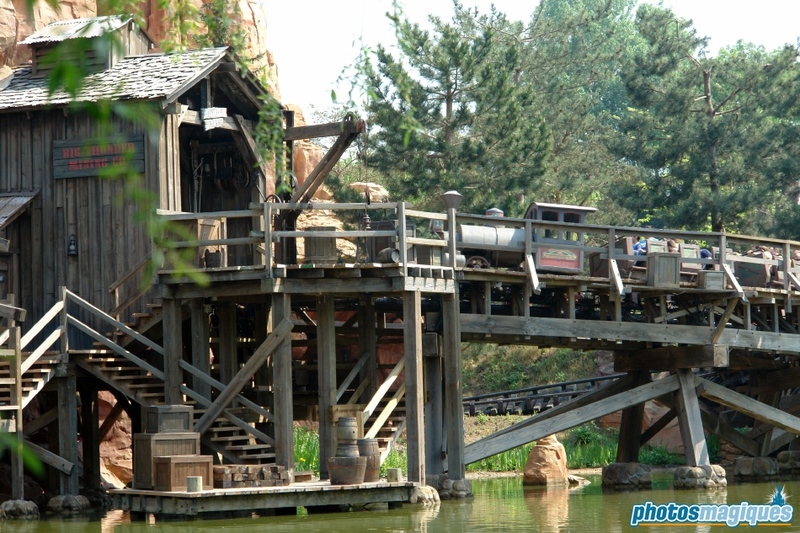 Enjoy a relaxing and unique view over the Rivers of the Far West, Big Thunder Mountain and Wilderness Island.